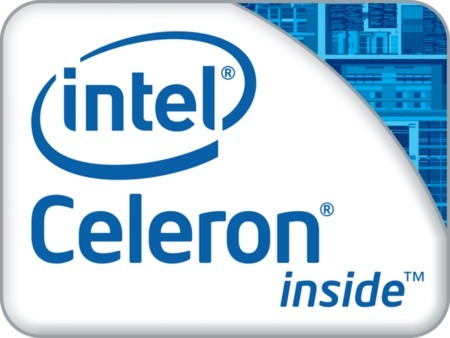 The Intel Celeron 1020E is an entry level dual core processor for embedded systems. It is based on the Ivy Bridge architecture (3rd generation Core) and features an integrated graphics card (Intel HD Graphics based on the HD Graphics 2500 at 650-1000MHz) and a reduced feature set (compared to the faster Core processors). E.g. Turbo Boost, AES, Hyperthreading, Virtualization VT-d, Quick Sync, Wireless Display and Clear Video HD are deactivated. Furthermore, some power saving features may be deactivated, leading to a shorter battery runtime compared to Core i3 processors. Compared to previous generations, the 1020E should be similar fast as a Pentium B980. The integrated Intel HD Graphics (Ivy Bridge) offers 6 Execution Units (EUs) clocked at 650 MHz up to 1000 MHz with Turbo Boost. Only some older and less demanding games can be played fluently in low settings. Like most Ivy Bridge dual cores, the TDP is specified at 35 W.